When Meece was born, he suffered a brain trauma that caused a learning disability. 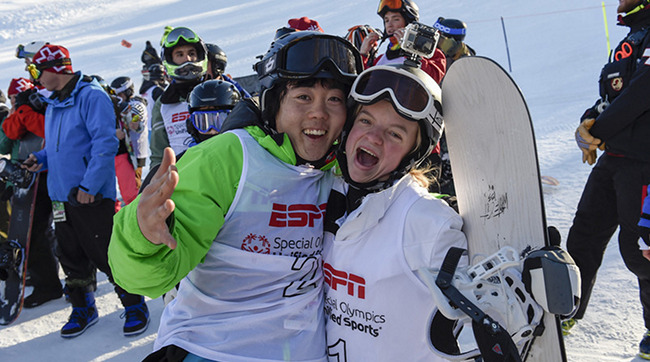 But that hasn’t stopped him from achieving — on the slope and off. He’s an accomplished Special Olympian and a fixture in his community, whether at work or through his volunteer work. What was the experience like competing in the X Games? I loved it, especially when I found out that I got the gold. That was a pretty close race, wasn't it? Did you think you were going to win? What was it like being up on the mountain with Chris? Pretty exciting, because it was my first time... Pretty exciting to pair up with him in real life. Had you seen him before? Yeah. On TV, but not actually in person. ​So what was it like to compete with him? You snowboarded down the mountain together, right? Yeah. Each athlete got paired up with different pros and that's the one I got paired up with, Chris Klug. 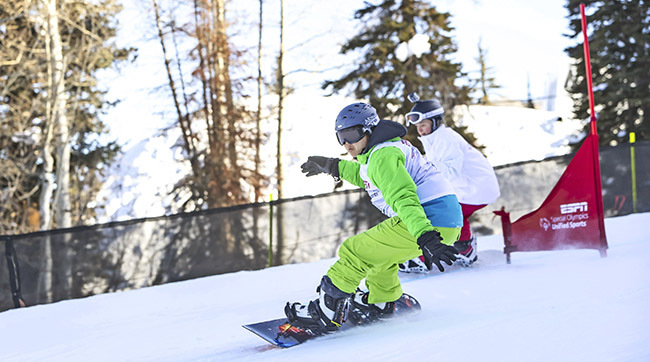 How did you start snowboarding? Did you want to be a skier? Or did you always want to try snowboarding? Well, I wanted to board but I started off skiing first and that's when I decided to snowboard, or eventually switch to snowboarding from skiing. I started off skiing and then I changed to snowboarding. What was the hardest part of going from skiing to snowboarding? The hardest part is getting used to it. And the other thing is skiing is you're forward, which means that you get up on your skis and you're still forward and snowboarding, the difference I think is the position where you stand. Like I said, skiing is you're standing straight ahead and then snowboarding is to one side and I just had to get used to it. When I switched skiing to snowboarding I had to switch my position because snowboarding is to one side. For you, what is harder, skiing or snowboarding? Snowboarding. But when I got used to it... Snowboarding was challenging more, but when I got used to it and I did I kept on snowboarding. 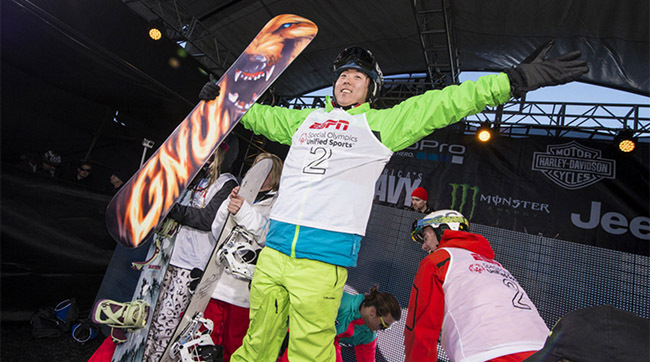 ​What was it like for you when you won the gold at the X Games last year? I was pretty stoked! Because, once again, I didn't know I got it until... I think it was one of the coaches pulled me up or was just so excited. What's it like to compete in front of the big crowds at X Games? Pretty fun and exciting because, to meet new people and maybe make friends, more friends than... or at least get acquainted if not friends... I guess there's a better chance to meet more people. What are your hopes for this year's X Games? Try to get another gold. I know I got one last time when I was there, but trying to get another gold.